Is it summer yet? At least it spring so we know we are getting closer. I do love and appreciate all seasons of the year though, so really I don’t have any complaints here. Sometimes the cold gets old but each season is so gorgeous. 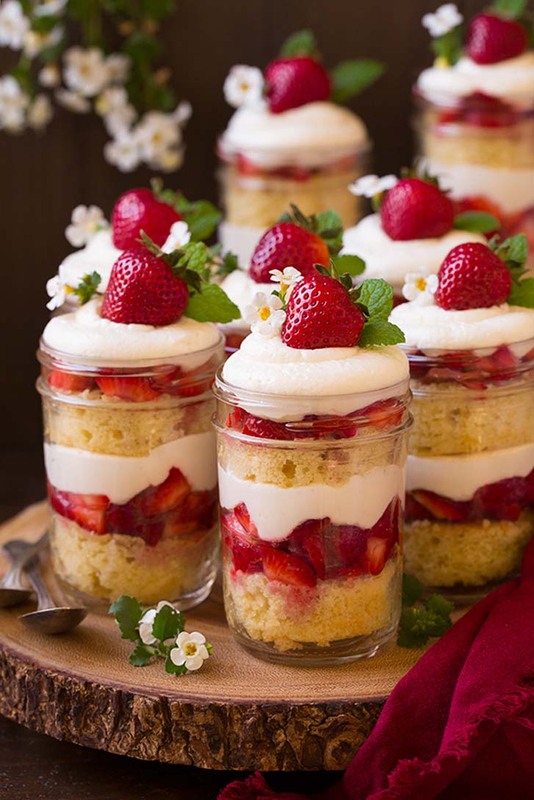 Another thing I love in addition to the unique individuality and stunning hues of each season are these heavenly Strawberry Shortcake Trifles!! 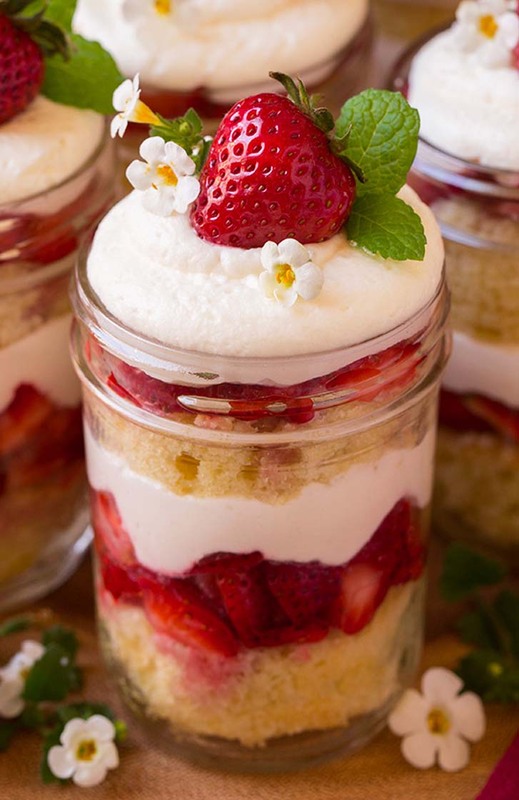 They far outdo any classic biscuit strawberry shortcake I’ve had, maybe it has something to do with the fact that this is a sweet soft cake instead and there’s some cream cheese mixed into the cream layer as well. Let me tell you though these things are dangerous! I’m generally pretty good and putting limits on myself since I have so many desserts around here all the time – with these though no no. 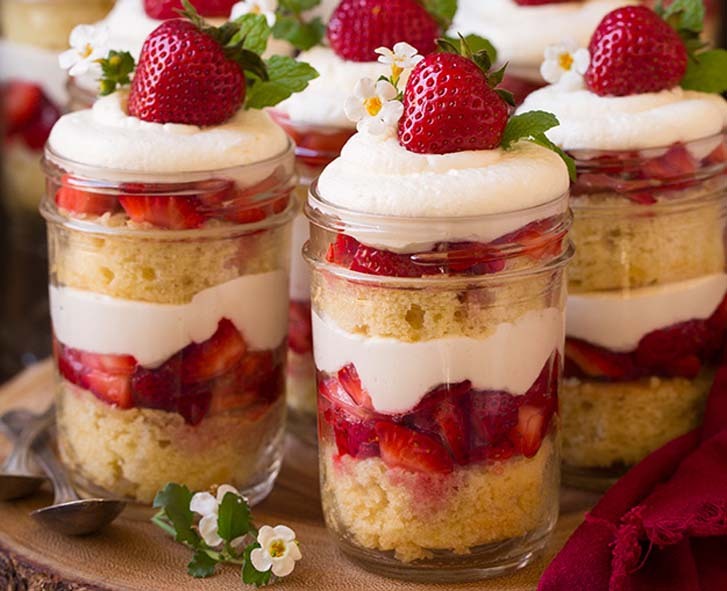 Goodbye self-restraint, hellooo strawberry shortcake trifles! 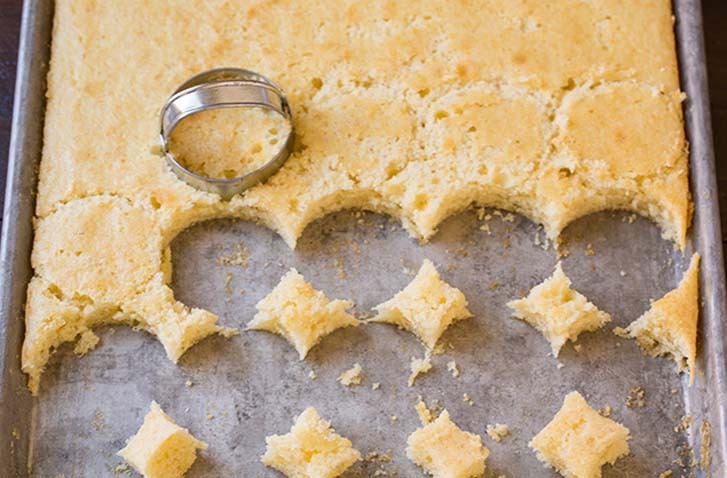 These would be perfect for a shower or for Mother’s Day (my mom couldn’t stop swooning over how delicious these were so I think I know what to make her again for Mother’s Day), or of course they are perfect just to make to treat yourself because it’s the weekend! 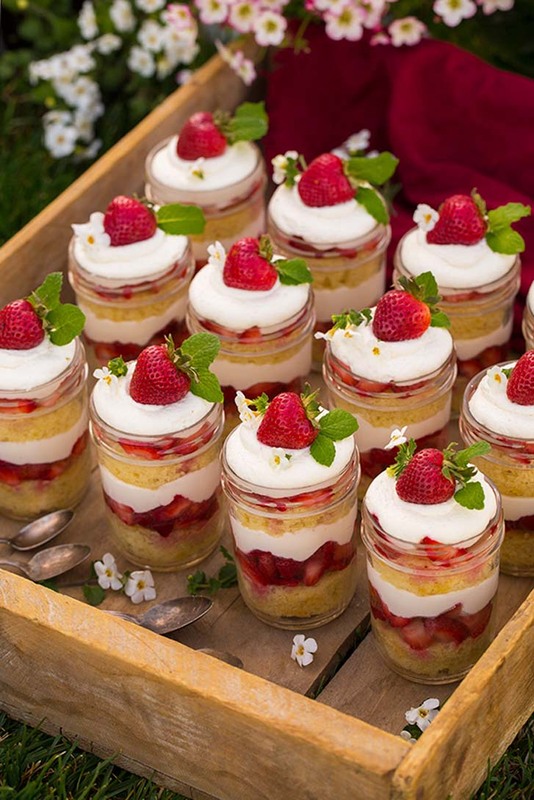 Dessert on the weekend is a must right? 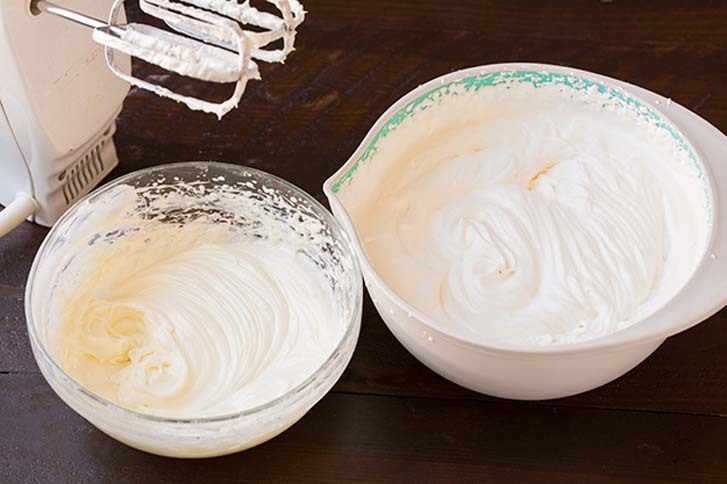 [post_ads]In the bowl of an electric stand mixer fitted with the paddle attachment whip together butter, sugar and lemon zest until pale and fluffy. 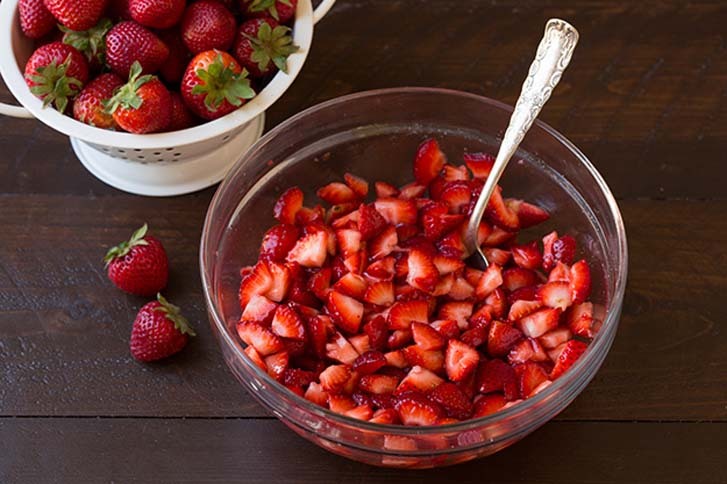 Mix in eggs one at a time then mix in vanilla. Add 1/3 of the flour mixture and mix just until combined then add in 1/2 the sour cream and mix just until combined, repeat with flour and sour cream once more then end by mixing in last 1/3 of the flour mixture and mixing just until combined (scrape down bowl to ensure it's evenly combined). 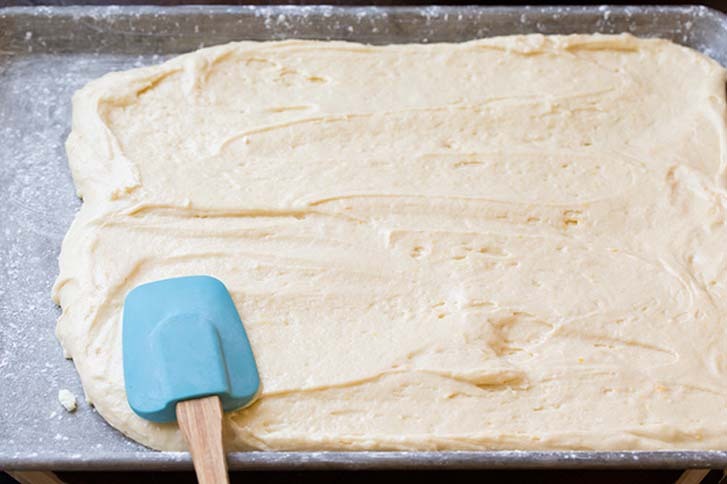 Pour and spread batter evenly into prepared baking sheet. Bake in preheated oven until toothpick inserted into center comes out clean, about 20 - 24 minutes. Remove from oven and cool completely on a wire rack. 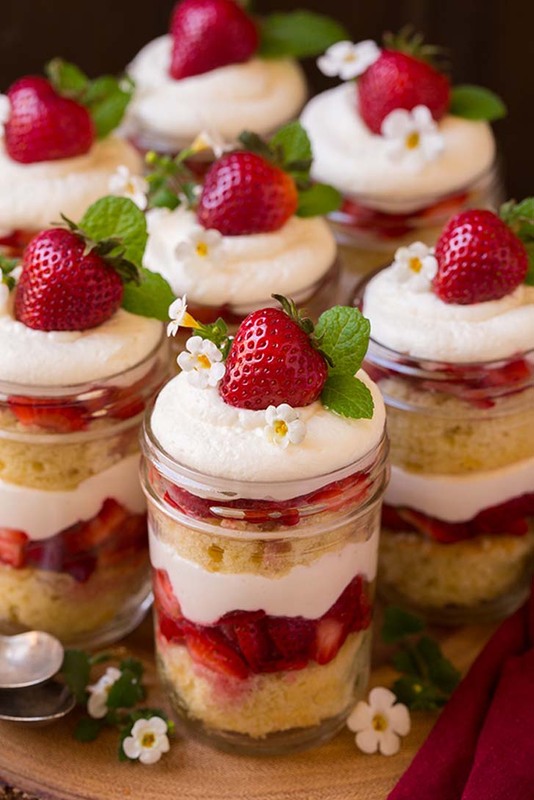 Once cool cut into 24 rounds the size of your dessert cups (you'll have a little left over cake which you can chill or freeze and serve later with more fresh fruit and whipped cream).